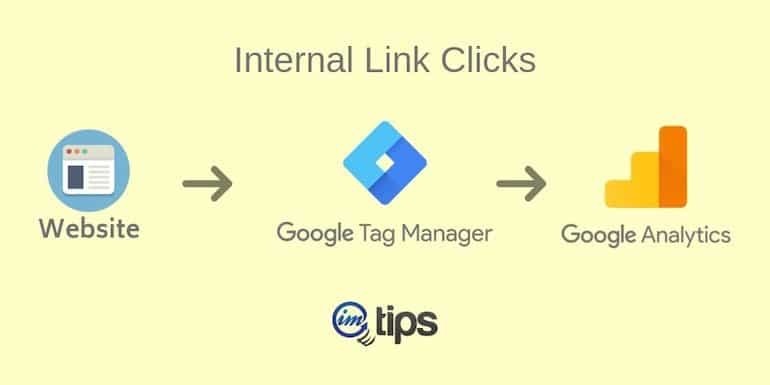 Tracking internal link clicks is fairly easy to set up. The process is similar to external link clicks except with minor tweaks in the trigger and tags. Trigger name: I have named it as Internal Link Click Trigger. It should be easily identifiable. Name the trigger accordingly. Trigger fires when: Some Link Clicks > Click URL > Contains > YOURDOMAINNAME (for me it is imtips.co). Tag name: Name the tag so it is identifiable. I have it as Internal Link Click. Tag type: Google Analytics – Universal Analytics will be our tag type as we are tracking internal link clicks. It will show the event category we have added for the tag. It is “Internal Link Clicks”. 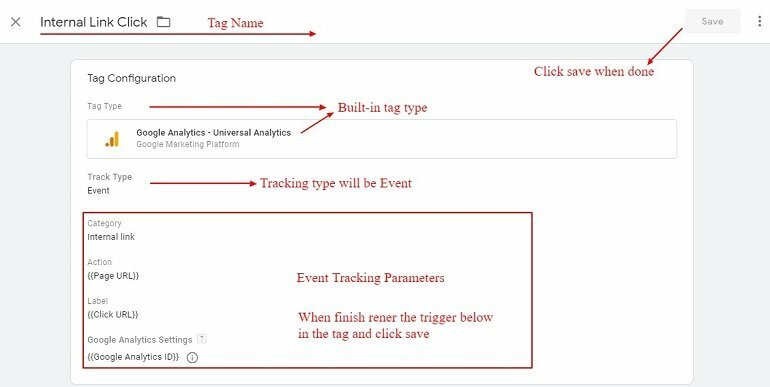 Under the “Internal Link Clicks” event category, the event label will show all links getting the clicks. Under Action all the pages where the links were clicked. Also check out how to track page scrolls, embedded youtube videos, form submissions in GTM.